If you’re looking for a page with terrible dog puns, then you’re barking up the wrong tree! Dog puns can come in many different forms. They can be simple or mind-boggling like punny jokes and may even come in the form of memes. 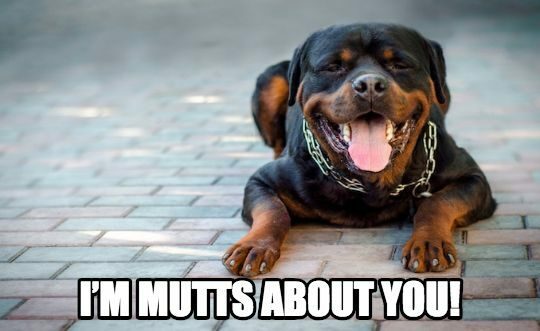 To get you started, we will take you through a basic guide to dog puns. First, take a normal word and simply replace it with a dog-related word where appropriate. 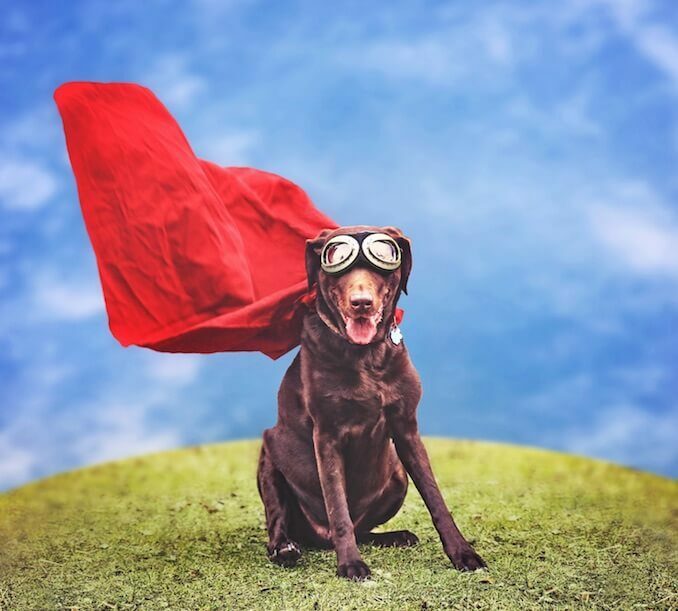 Now, prepare to be impressed by our collection of 67 a-dog-able and paw-some dog puns and jokes which will have you rolling over on the floor barking. What did the dog say to his wife? You are so pawfect, I will love you furever. What is a pup’s favorite superhero? Labra-thor. What is a dog’s favorite movie? Hairy Paw-ter and the Philosopher’s Bone, written by J K Growling. What is a dog’s rap name? Notorious D.O.G. Notorious B.I.G was a famous American rapper. 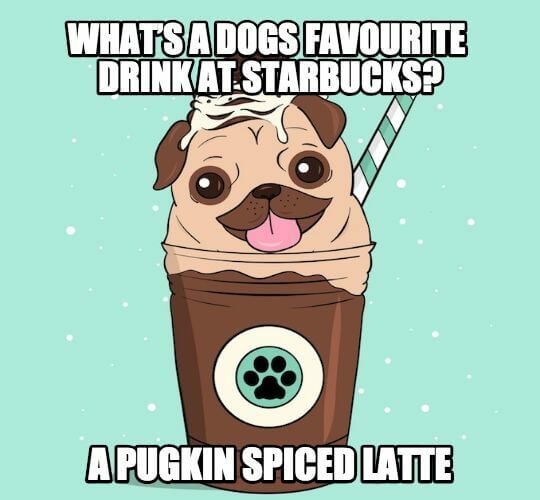 Also known as “Biggie Smalls” … or perhaps… “Puggie Smalls”… ba-dum-tish! Plenty of dog puns left don’t woffy. Why did the dog crash? He forgot to put the car in bark. It’s safe to say that his car probably rolled over. 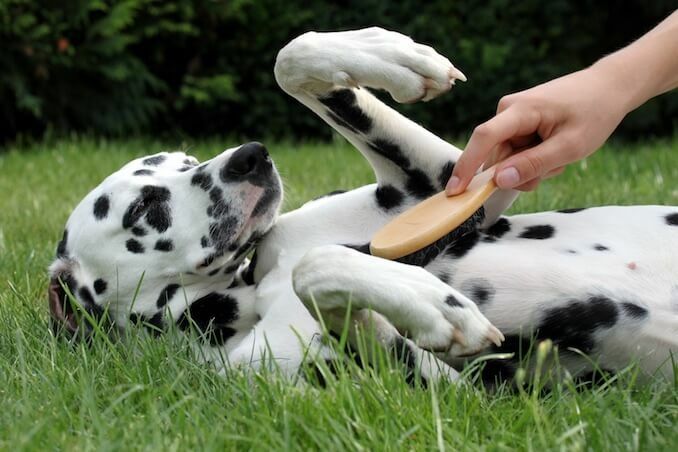 What did the Dalmatian say to the masseuse? Oooh yeah, that’s the spot! Why did the dog breeder go to the dentist? Because one of his canine’s was loose. I got my girlfriend a puppy for her birthday. She’ll be smiling from ear terrier. A present she will truly treasure furever. Where can I buy an intelligent pup? Near the Border of Colliefornia. Border Collies are renowned for their intelligence and are often rated the most intelligent dog in the world! My dog loves to go clubbing. Some may say he likes to, raise the woof. If those top ten dog puns weren’t enough, then take a look below for another 50 and our favorite dog memes! Is there any better way to express your love to someone than through a loving dog meme? My dog looks completely different after the groomers. 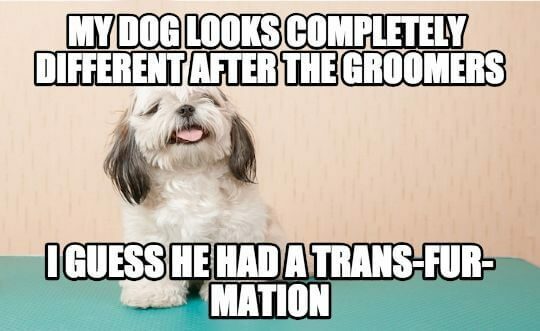 I guess he had a trans-fur-mation. My dog is getting promoted. 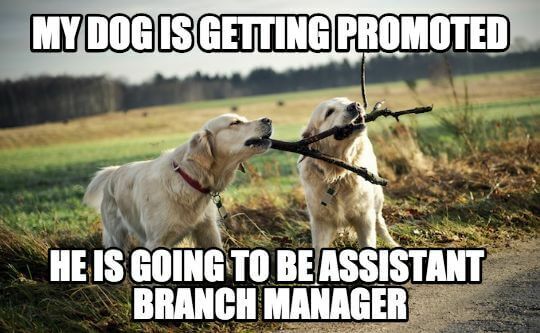 He is going to be assistant branch manager. 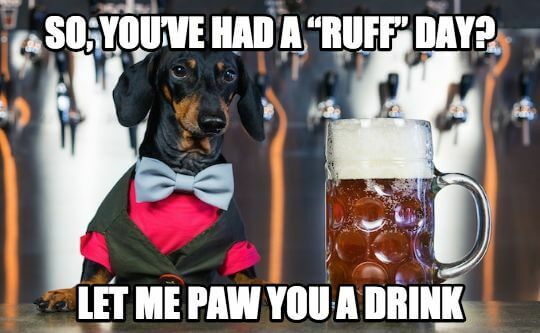 So, you’ve had a “ruff” day? Let me paw you a drink. 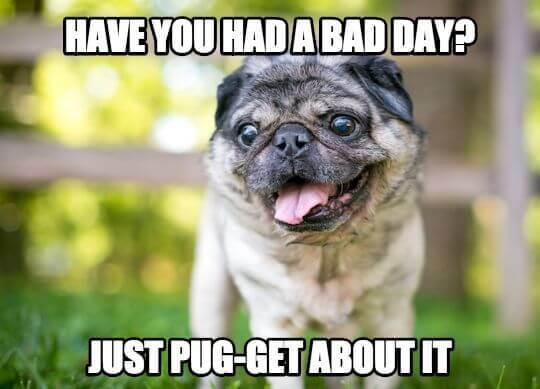 Have you had a bad day? Just pug-get about it. What do you call someone who doesn’t love dogs? 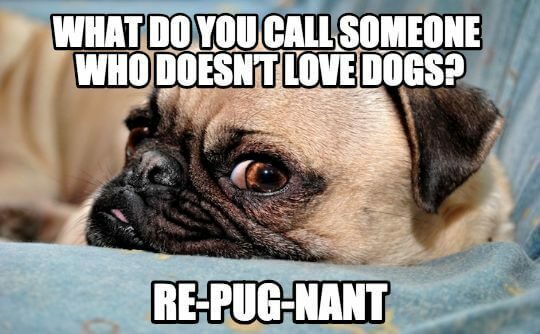 Re-pug-nant. My dog’s not fat. 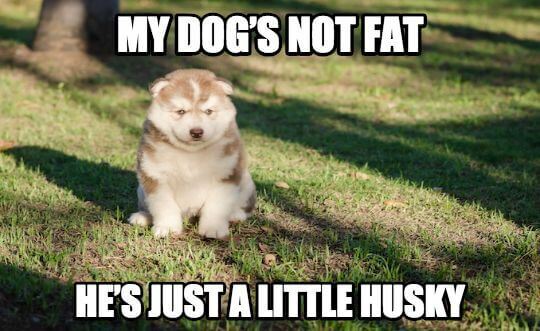 He’s just a little husky. What did the pup dress up as for Halloween? The Big Bad Woof. He actually looked rather fetching. Why do Dachshunds lie in the shade? Because they don’t want to be hot-dogs. I nearly kicked my dog out. But we renegotiated the terms of his leash. How does a Spanish dog say Merry Christmas? Feliz navi-dog. You look like my garden. Because I really dig you. My dog won’t get off the PlayStation He’s been playing Fi-fur all day. Dog to Waiter: Are there any bones in this? Waiter to Dog: Yes sir, why’s that? Dog to Waiter: Because I really dig them! Have you seen the new movie with the Dachshund? Apparently it’s an Oscar Weiner. He’s not a bad dog. He’s just a little ruff around the edges. My dog wants to be a tradesman. I think he wants to be a woof-er. I went to the Veterinarian today. She really knew how to make my dog heal. The expensive dog has gone missing. However, police are saying that at least they have a lead. Once she is found they will Retriever. What do you call a cold dog? A pup-sicle. Better steer clear, especially if he’s fur-ocious… don’t want him to give you frost-bite. Whenever I go to the zoo, I only ever see dogs. They were Shiht-zus. Note: Shiht-zus = Shih Tzu. A Shih Tzu is a well-known toy dog breed. My dog’s favorite band is The Beagles. I asked my dog why he was having a bad day. But all he said was “ruff”. My dog is very poor. He can’t afford a “woof” over his head. 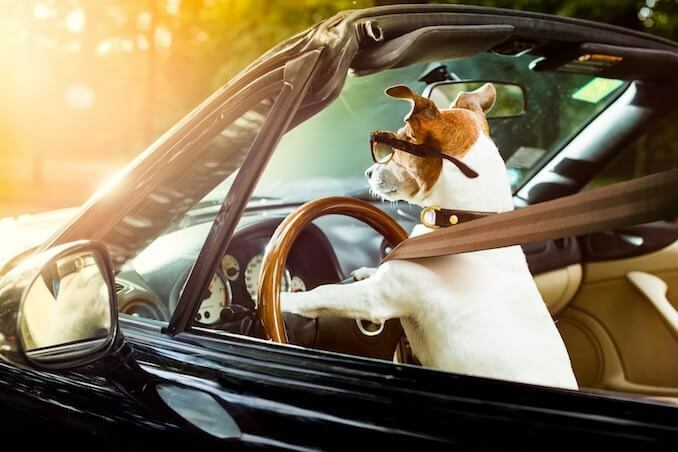 Why did the dog fail his driving test? Because he couldn’t parallel bark. I painted my dog’s nails So he can look paw-ty. My dog hates the rain. He doesn’t want to step in a poodle. What was the dog’s favorite book? Winnie the Pooch. He loves to read a lot of story tails before bed. My dog went on his first date. But she was a mal-TEASE. My dog loves poetry. Especially William Shakes-paw. My dog takes so long to get ready. He can never chews what to wear. What’s a dog’s favorite condiment? Fetch-up. My dog needed date ideas. I told him to whine and dine her. What’s a dog’s favorite breakfast? Woofles. Mistakes happen. No need to terrier-self up about it. As long as your dog sticks by your side. Anything is paw-sible. Why wasn’t the dog a smooth talker? Because he couldn’t stop saying “ruff ruff”. What do you call someone who always takes pictures of their dog? A pup-arazzi. What dog does Dracula own? A blood-hound. Sorry to inter-ruff but did you just see that cute dog? 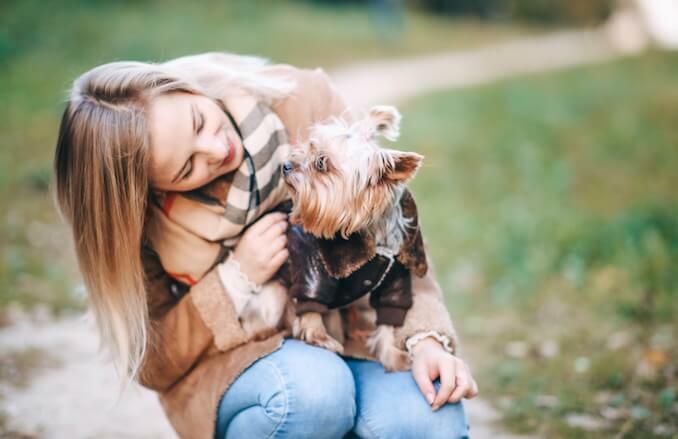 I’m sure no one will mind that inter-ruff-tion… As they say… If you’ve found someone who will stop you mid-conversation to tell you that there is a dog nearby, then they just might be pawfect for you. Why did the dog go to the bank? To make a de-paws-it. But unfortunately, there was a mastiff line. What do you call a dog who can fight? A Boxer. What do you call a dog from the Wild West? Clint Eastwoof. My dog loves designer hand-bags. So I got him a Poochi. My dog never stands up for himself. He just rolls over. I recently got two German Shepherds. Because I wanted some paw-dy guards. The hotel said NO DOGS ALLOWED. I guess it was a little too paw-sh. My neighbor had way too many dogs. It’s safe to say that he had a Rover-dose. My dog loves Star Wars. His favorite character is Chew-bark-a. I love walking my neighbor’s dog. It’s the leashed I can do. My dog recently joined a gang. Now he’s all about that pug-life. Why did the police dog get promoted? Because he was the scenter of so many drug arrests. Some may say he had great in-scent-tive. Why did the dog go to university? To get a pe-digree. That dog is so beautiful. She should be on the cover of Vanity Fur. 67 of our favorite dog puns, memes and punny jokes to make you bark and howl with laughter. Simple yet loveable. These dog puns work well for any occasion. Whether you are trying to impress your significant other, hit it off with fellow dog lovers, or simply break the ice, just give these a go! Even if they may be too cheesy, I’m sure you’ll get a smile or two! Maybe even a howl? Please comment below, we would love to hear from you.